Seán O’Connor was born in the Liberties of Dublin. He attended the local school, Francis St CBS, and afterwards began work with a firm of Consulting Engineers. Later, under the name of John V O’Connor, he became a Consulting Engineer himself, qualifying as a Chartered Engineer in 1971, and a Fellow of the Institution of Structural Engineers in 1973, winning the award of the President of the Association of Consulting Engineers of Ireland for General Excellence of Design in that year and a second time in 1976, for Innovation in Building Design. He gained a Master of Science degree from Trinity College in 1978 and became a Fellow of the Institution of Engineers of Ireland in 1982. After further study at Trinity College and King’s Inns, he passed their exams for the Barrister-at-Law degree and became a member of the Irish Bar in 1985. 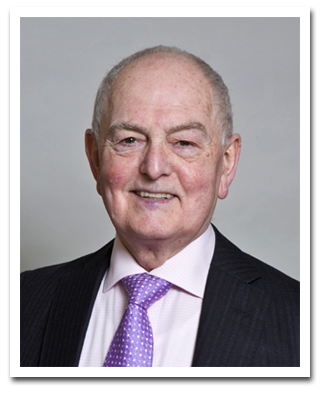 Having practiced in the courts for three years, he returned to Engineering Consultancy in 1988 as one of the founding partners of O’Connor Sutton Cronin, a business employing 90 people. He retired in 2002.